Torah Codes 2012 by Midbar Nesher: Post-traumatic Stress Disorder as a result of experiences with crime or war. Former Israeli soldier recounts PTSD she suffers from serving 18 months in a warzone. Documentary interviewing mentally ill or traumatized Israeli soldiers to remember their experiences from the Second Intifada (2000-2005). 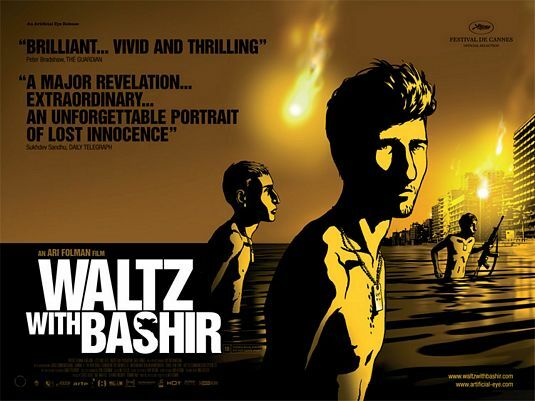 Waltz with Bashir (Hebrew: ואלס עם באשיר‎, translit. Vals Im Bashir) is a 2008 Israeli animated documentary film written and directed by Ari Folman. It depicts Folman in search of his lost memories of his experience as a soldier in the 1982 Lebanon War. In 1982, Ari Folman was a 19-year-old infantry soldier in the Israel Defense Forces (IDF). 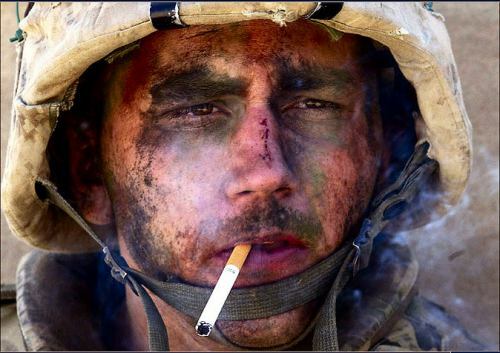 In 2006, he meets with a friend from his army service period, who tells him of the nightmares connected to his experiences from the Lebanon War. Folman is surprised to find that he remembers nothing from that period. Later that night he has a vision from the night of the Sabra and Shatila massacre, the reality of which he is unable to recall. In his memory, he and his soldier comrades are bathing at night by the seaside in Beirut under the light of flares descending over the city. Folman rushes off to meet a childhood friend, who advises him to seek out other people who were in Beirut at the same time in order to understand what happened there and to revive his own memories. Folman converses with friends and other soldiers who served in the war, a psychologist, and the Israeli TV reporter Ron Ben-Yishai who covered Beirut at the time. Folman eventually realizes that he "was in the second or third ring" of soldiers surrounding the Palestinian refugee camp where the carnage was perpetrated, and that he was among those soldiers firing flares into the sky to illuminate the refugee camp for the Lebanese Christian phalange militia perpetrating the massacre inside. He concludes that his amnesia had stemmed from his feeling as a teenage soldier that he was as guilty of the massacre as those who actually carried it out and his childhood second-generation trauma as a son of a Nazi holocaust survivor of a concentration camp. The film ends with animation dissolving into actual footage of the aftermath of the massacre. Its a strong film, it shows how crapy war is, how it affects all people directly involved and many more mixed up in it.